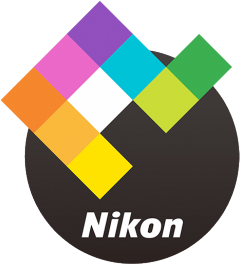 Important notice to Mac users of Capture NX-D: The latest version will delete all files in a folder (in the root) after you change its name in NX-D.
Update: Nikon has released an update to NX-D that solves this issue. You can download it from the Nikon website. It has recently come to our attention that the following may occur with Nikon Capture NX-D RAW processing software for Macintosh. When the user attempts to change name of a folder saved in root directory (the top-most directory in startup disk's hierarchy) on a Macintosh running a compatible version of OS X using the folder palette of Capture NX-D, all files (still images, movies, texts, etc.) saved in that folder will be deleted. Files deleted with the above operation will permanently be deleted and cannot be restored. We are currently working to resolve this, and plan to release an updated version of Capture NX-D. Until that time, we ask that users do not use Capture NX-D's folder palette to modify name of a folder saved in root directory on a Macintosh computer. Should you need to save your image and/or movie files, save them in a home folder (Desktop, Pictures, Movies, Documents, etc.) located in the Users directory, or in an external hard disk drive. We sincerely apologize for any inconvenience this may have caused. Nikon remains committed to providing only the highest quality products and services, and we hope that you will continue to choose Nikon for your photographic needs.